Company News: What's Going On at The Paint Manager? 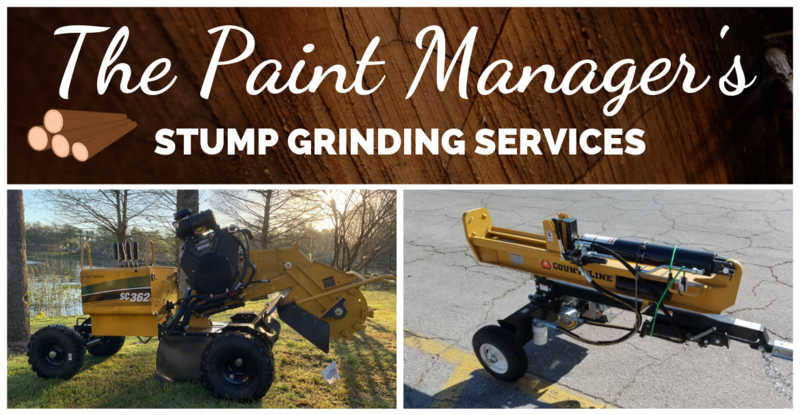 For more info on this service, check out our Stump Removal Services page. Call 407-592-9935 today, or send us an email to get a quote! We know you will enjoy our annual contracts. We put a lot of thought into our goals to serve you better during this service year. If your 55 + Senior community is in need of our annual services please contact us today and schedule. Appointments usually take about 4 hours and are billed at a rate of $75 an hour at the end of the appointment. Call 407-592-9935 today for an appointment. What an excellent way to start off 2018. We look forward to serving you soon. Please contact us to schedule an appointment today. The Paint Manager. We look forward to adding your content. Put your skills to work and start business blogging with The Paint Manager. If you would like to submit a blog email The Paint Manager. We're taking care of our 55 + communities.